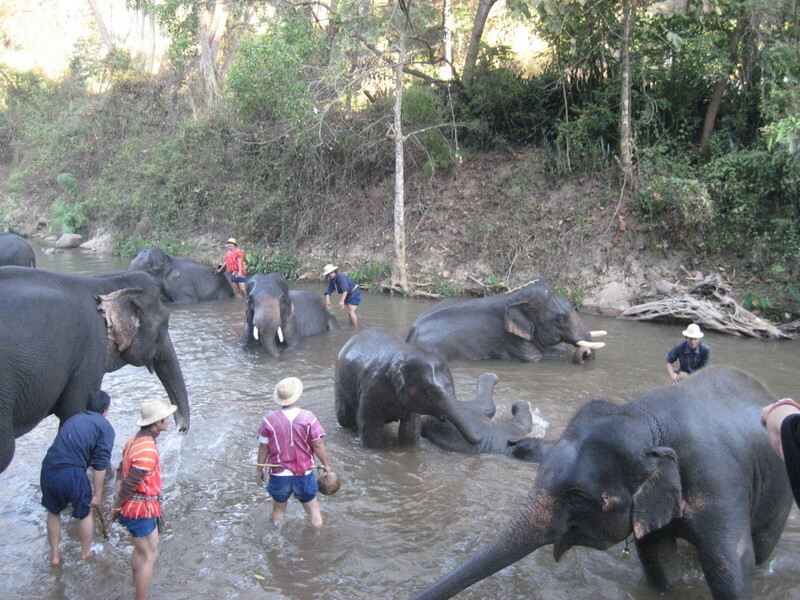 Sandra and George took these photos of elephants bathing with their mahouts in Chaing Mai, Thailand. 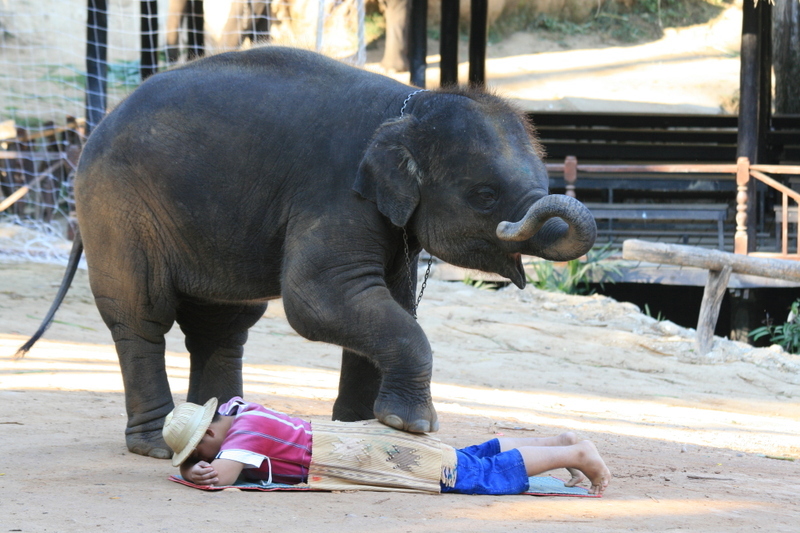 Is there anything cuter than a baby elephant? 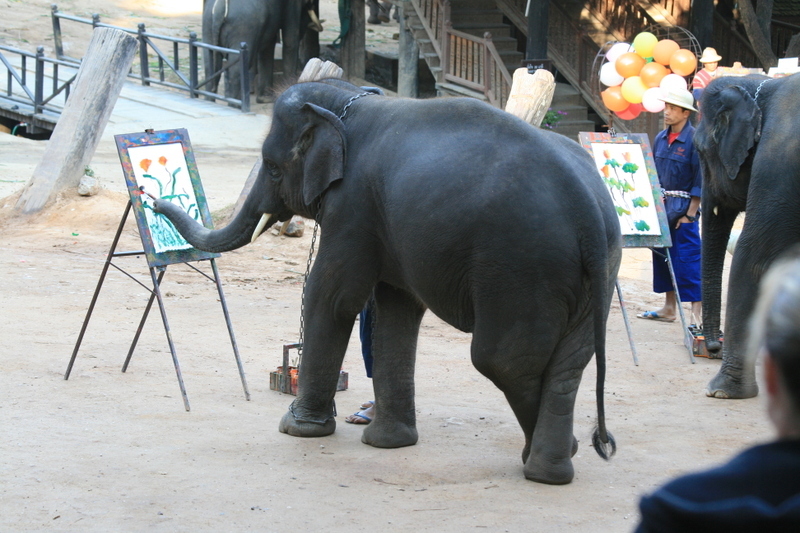 Elephants are highly intelligent and sensitive animals, with strong social and family bonds. 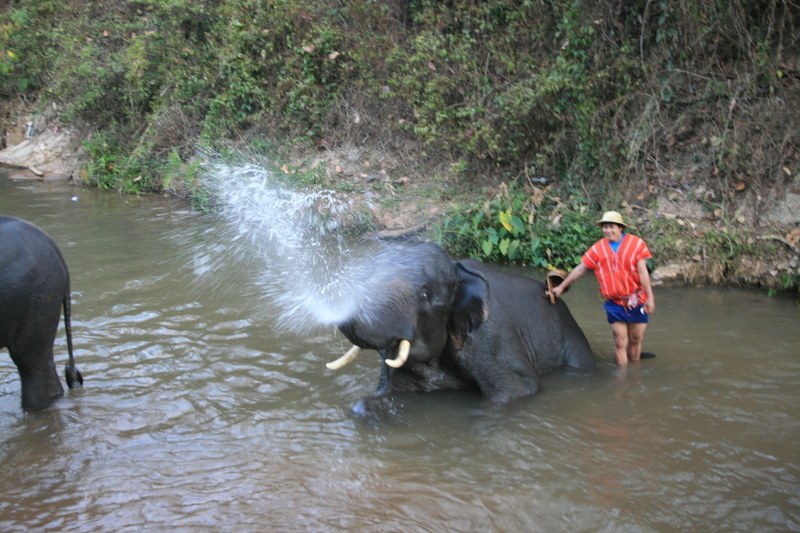 A mahout is defined as a keeper and driver of elephants. 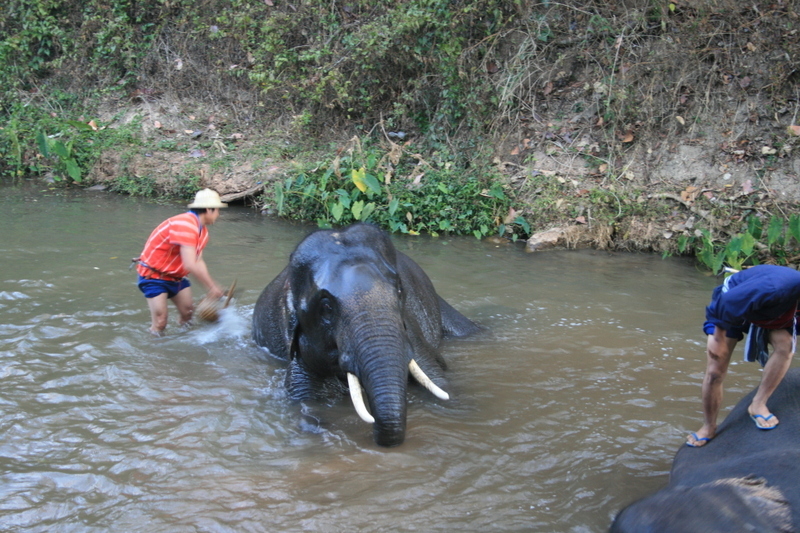 A young boy who will become a mahout is introduced to his elephant when it is five or six years old. 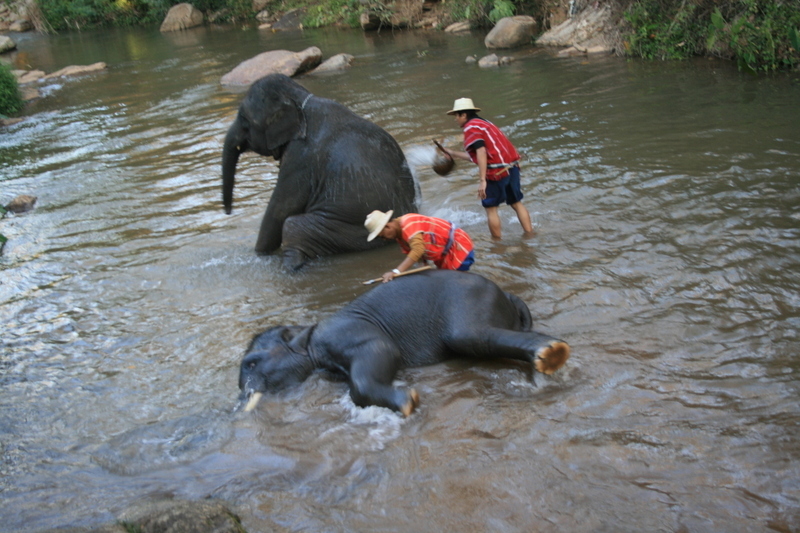 It is at that age that the elephant can be separated from its mother and become the sole responsibility of the mahout. Going forward the two will be inseparable, forming an attachment that will last their lifetimes. It turns out that Sandra and George's friend Sheila actually took the photos.